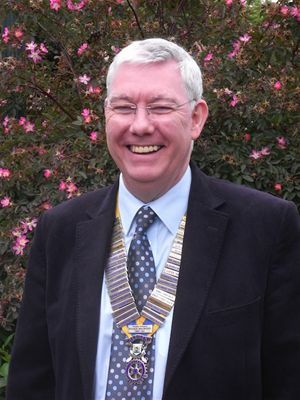 Rotary Club of Dalkeith - Welcome! Midlothian's oldest Rotary club is proud of service rendered since its formation on 18 October 1967. With roots reaching deep into the community, the Rotary Club of Dalkeith works closely with schools and other partner organisations to create opportunities for young people keen to excel in sport, the performing arts, and the realisation of leadership potential. Other age and social groupings enjoy support appropriate to their needs while the transfer of thousands of fund-raised pounds to Rotary International has been the club's answer to successive calls aimed at stamping out polio and offering hope to victims of natural disasters. Meantime, a busy schedule of talks, social events, and outside visits help sustain the founders' vision of a happy and progressive club fortified by fellowship and fun. Visitors and guests are most welcome to join us at our meetings. Lunch - Speaker ( ) guest of Adam Bolton. Reception: Ian Ritchie.